AnonD-275299, 18 Sep 2014Mr anand I think u are note 2 user. 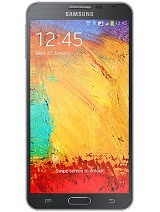 What do u know abt note 3 neo that you are saying note 2 i... moreVery true Neo is better than Note 2. GOKU, 18 Sep 2014My Note 3 Neo doesn't connect to my Laptop. PLEASE HELP.Check your cable its faulty. AnonD-309188, 18 Sep 2014For N7505 kitkat update is avl in India?? ?According to sammobile.com, update is rolling out for N7505.. N7505 isn't the local version of Neo we get here. Its the 3G N750 version. Where did you manage to get the N7505 from? GOKU, 18 Sep 2014My Note 3 Neo doesn't connect to my Laptop. PLEASE HELP.Try different USB port or reinstall the drivers. 1) Any improvement in Battery Backup ? Battery backup has increased like 10% for me. Used to get around 5.5 hours of screen on time with JB.. now i get 6-6.5 hours SOT..
2) Any improvement in open in-built app(Gallery, Camera) delay ? Camera has become a bit swift. Gallery is the same. 3) Intermittent screen flickering still seen? To be honest i didn't have screen flickering issues in JB too.. so can't comment on that..
4) Intermittent UI hang still seen? UI is swift.. there's a certain lagginess when you scroll up and down quickly in the connections tab which is in settings. And yeah the display takes like 2-3 seconds to turn up after power button is pressed, which is kind of annoying. Didn't use to face this issue in JB though. 5) Sudden increase in temperature still seen? While playing games like Asphalt 8 the top portion of the screen becomes warm. While browsing i have no issues when wifi is connected. But when 3G is active the device tends to increase the temperature while browsing too. My Note 3 Neo doesn't connect to my Laptop. PLEASE HELP. AnonD-309062, 18 Sep 2014kitkat update for note 3 neo LTE N7505 has arrived.. users can now update their LTE devices.. ... moreFor N7505 kitkat update is avl in India??? 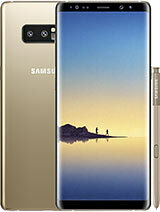 It's quite good phone for the price. The features are amazing. AnonD-60955, 18 Sep 2014Yeah.. dont upgrade it to KK.. it takes away some important features.. please read my posts.. ... moreSmart Pause and Smart Stay - Don't Care. Lock screen hovering and sound - Don't Care. SD card restrictions - Don't Care. Auto brightness - Don't Care. Mainly interested in 3-5. In last 3 months of usage with JB, I have seen these issues popping up quite a few times. All these are TouchWiz issues, not caused by any particular app. P.S - I have also tweaked the device, but not rooted. AnonD-60955, 18 Sep 2014http://www.androidauthority.com/4g-vs-lte-274882/Thanks bro, it really helped me out..
anand, 18 Sep 2014when we play game hanset will hangs and touch not working properly and compare to note 3neo no... moreLOL anand.. you haven't used a Note 3 Neo then keep your mouth shut.. Note 2 has an old slow GPU and Note 3 Neo has a newer and better GPU and no games lag on it..
RAJU, 18 Sep 2014sir this phone is better than note 2? if yes why ? 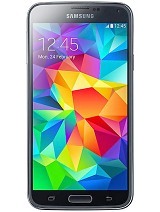 Note 2 has a quad core processor Note 3 Neo has a hexa core processors and all processors work together at a time. 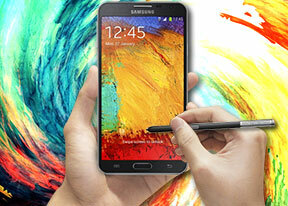 Note 2 doesn't have IR too. 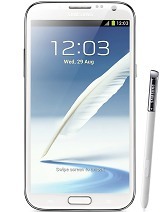 Mr anand I think u are note 2 user. 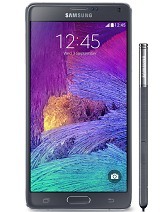 What do u know abt note 3 neo that you are saying note 2 is better.guys trust me note 3 neo is far better than note 2.I have already used to have note 2 sold it and bought note 3 neo which is amazing and while playing asphalt 8, mortal combat 4, such heavy games while playing havent feel single laggy and u say a cheap game candy crush lag a phone dont fake bro. AnonD-309062, 18 Sep 2014kitkat update for note 3 neo LTE N7505 has arrived.. users can now update their LTE devices.. ... moresir this phone is better than note 2? if yes why ? 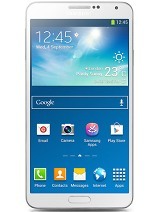 AnonD-301451, 18 Sep 2014note 3 neo is good phone or bad... lag free or not??? ?Good phone.. lag free.